Blackwater Engines now offers a complete line of gas engines. Call us for details. Blackwater Engines is proud of our medium-duty truck engine line. Including Cummins, CAT, and Navistar. Blackwater Engines is an authorized dealer for OE Ford running complete engines. Call us for a competitive quote. 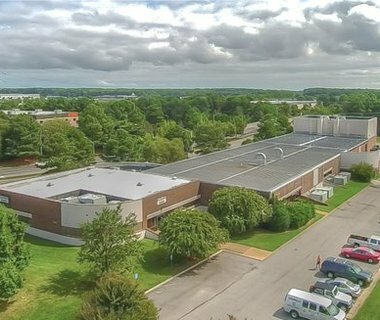 Our remanufacturing process is the key to our success. We show you, step-by-step, what it takes to build a high-quality engine. 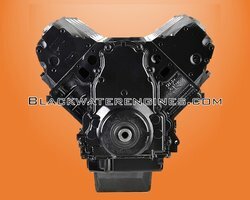 Blackwater Engines is a leading source for remanufactured diesel engines. We strive to carry products from the finest manufacturers in the industry. 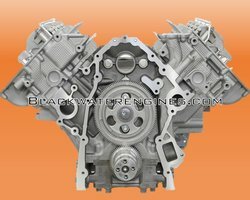 To obtain your replacement engine, all you have to do is place an order. It is that easy! From there, you will receive your desired part, and you can make repairs. Do you have questions concerning our remanufactured diesel engines? 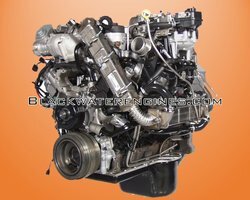 Contact Blackwater Engines now at 757-855-5091. From truck and industrial applications to marine and agricultural needs, we can help you select the engine that is right for you. Have a question or need assistance? Please feel free to contact us. Our knowledgeable staff is here to assist! What is the Cost for Shipping Engines? What about Returning Cores? Shipping is available globally. Your shipping cost will be estimated at the time of sale. The shipping quote will usually includes the shipping for the return of the core. Return shipping labels and pick up instructions are included with the engine upon delivery. All you need to do is crate the core, adhere the pre-printed shipping label to the core and call the carrier for pick up. Additional charges may apply if a liftgate or a residential access delivery are required. Are your Engines available to Foreign and Non-Continental US States? Yes, our entire stock is available world-wide. Shipping is quoted on a case by case basis due to customs involvement. You can request more Information by email or by calling us toll-free at 877-421-4317. What Does the Basic & Extended Warranties Entail? Diesel Long Blocks: Basic: The standard limited warranty will cover no more than Five Hundred Dollars ($500.00) in out of pocket expenses or any other expense associated with a warranty claim. Gold Extended Warranty Plan: Increases the payout limit to Fifteen Hundred Dollars ($1,500.00) in out of pocket cost for an additional $250.00. The Gold Extended Warranty option is available for purchase on all long blocks purchased directly from Blackwater Engines. Platinum Extended Warranty Plan: Increases the payout limit to Fifteen Hundred Dollars ($1,500.00) in out of pocket cost and increases the time limit of an extra one (1) year for an additional $500. Complete Running Engines: The warranty for the Ford complete running engines are 2 years/unlimited miles. Gas Long Block Engines: All of the gas long block engines carry a 3 years/unlimited miles warranty. You will receive Warranty Information with your new long block. You will need to complete these forms and return Them either by Mail, Fax, or Email within Thirty(30) days of the installation of your engine. DO NOT SEND BACK YOUR WARRANTY INFORMATION WITH THE CORE. Additional information regarding filing a warranty claim can be found at our Warranty Information page. Where do I find My Engine Serial Number? Depending on the manufacturer and application of your engine, The engine serial numbers or vehicle identification numbers may be in different locations. Please refer to our Identifying Your Engine page for specific directions in identifying your engine. What Gaskets are Included in the Gasket Set? 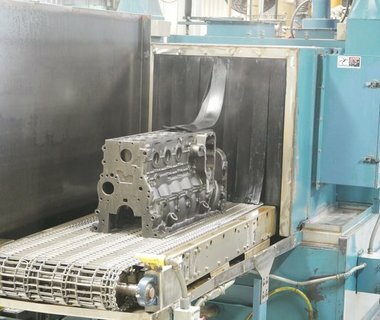 Gaskets sets are specific to the type of long block You are ordering and your application. Please see our What's In The Gasket Kit page for specifics as to your engine. Do I Need to Get New Injectors for My Gas or Diesel Long Block? You are not required to replace your injectors. We do require you have your old injectors cleaned & tested at a certified fuel injection shop, or replaced with new or reman injectors. Do I Need to Get a New Oil Cooler For My Gas or Diesel Long Block? Yes, you are required to install a new oil cooler with your new long block for the warranty to be valid. We will happy to include an oil cooler with your diesel long block if you wish. View our sales page or ask your salesman for pricing. Are your upgraded pistons ceramic coated? The pistons that have a coating are covered with an industrial graphite, anti-wear, thermal barrier coating produced by DuPont. This helps with the durability of your pistons. I already have head studs, can I install them myself & will it affect my warranty? It is not recommended to re-use head studs in most all cases. The heat cycles that the stud encounters can change the physical properties of the stud and alter the torque and clamping force applied to the head gasket. We believe that its not worth the risk of an engine failure when used head studs are installed. Does the 6.0L or 6.4L Powerstroke come standard with ARP head studs? The standard long block engine will come with the new head bolts, but we do offer long block engines that include head studs. We also offer the 5.9L & 6.7L Cummins, all 6.6L Duramax, and the 7.3L, 6.4L, and 6.7L Powerstroke engines for sale with head studs as well. 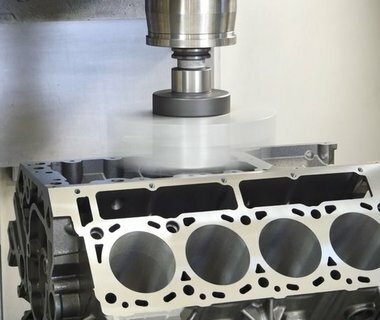 Do you offer an upgraded piston on the 6.4L Powerstroke long block? We offer the HD Piston upgrade for the 6.4L Powerstroke. This is a Mahle piston that is cast without the re-entrant bowl or the “lip” in the top of the dish. This makes the piston much more durable and considerably less likely to break, crack, or melt. Are your Engines Dyno Tested? We do test the long block on industry leading testing equipment to insure equal compression, resistance, vacuum, and pressure on all cylinders, oil, and coolant systems. We offer dyno testing on diesel complete drop-in engines. Is There a Core Charge Associated with Your Engines? There is normally no core charge billed at the time of placing the order for a diesel long block. This is providing you have a good core to return and are paying with a credit card. Up front core charges will be applied if paying by check or if you know of damage to your existing core. Core charges will be billed when the core has not been returned or if a damaged core is returned to us. Blackwater Engines has up to 90 days to complete the core inspection and complete billing. For more information please see our Core Policy page. The core charge is billed at the time of purchase for the diesel complete running engine. The policy on the core return is that it must be assembled and in the original crate with all of the components included on the core. There is a no hassle policy on broken components. The core charge is billed at the time of purchase for our gas engines. The policy on the core return is that it must be assembled and in the original crate with all of the components included on the core. There is a no hassle policy on broken components. How do I Return My Core Engine? You will receive freight documentation and a shipping label with your new long block. You just need to crate the core, apply the shipping label, and call the designated freight carrier for pick up. If you need additional details regarding the return of core engines, please see our Core Policy page. Can I keep my Old Engine until I get everything swapped over? Yes, We allow 30 days from the date you receive your engine to the date return shipping is rrocessed. For more Information please see our Core Policy page. What Condition does My Core have to be in to be considered a Good Core? A "Good Core" is considered to have no visible cracks or holes in the cylinder block or head casting. It also needs to rotate and cannot have dropped a valve or have a broken cam shaft or crank shaft. You must be able to turn the engine over 360 degrees. Partial core charges may be applied due to other components being damaged and this will be handled on a case by case basis. Blackwater Engines reserves the right to charge additional core charges upon discovery of hidden or undisclosed damages upon receipt of the core from the purchaser.